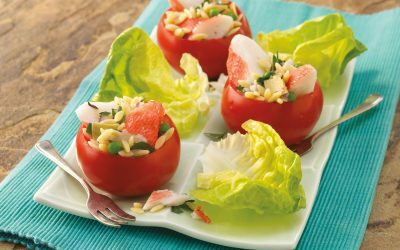 Seafood Pitas with Tahini Dressing will make a fun and novel addition to your list of healthy lunch ideas. 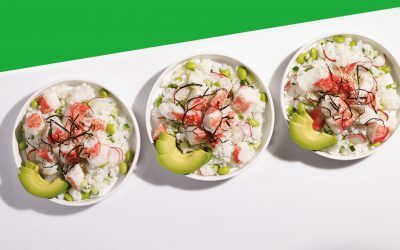 Homemade tahini dressing is mixed with Crab Delights®, avocado, and veggies for a light and simple meal. 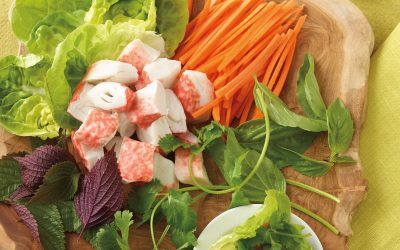 Visit our surimi resource guide to learn about nutrition and health benefits, sustainable sourcing and more! Dressing: smash the garlic with a pinch of salt until it becomes a paste. Transfer to a small bowl and whisk in the tahini, lemon, and 1/4 cup water until smooth. Stir in the yogurt, oil and cayenne. 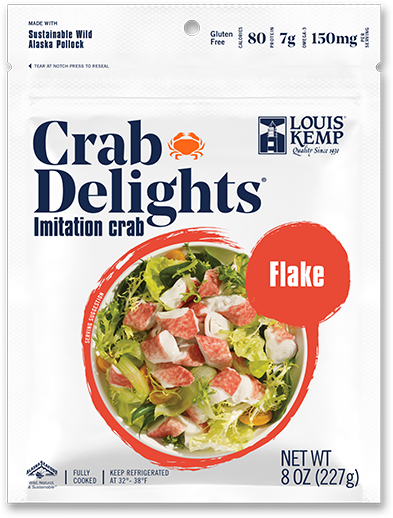 Stuff the pita breads with the Louis Kemp Crab Delights®, avocado, tomato and arugula.